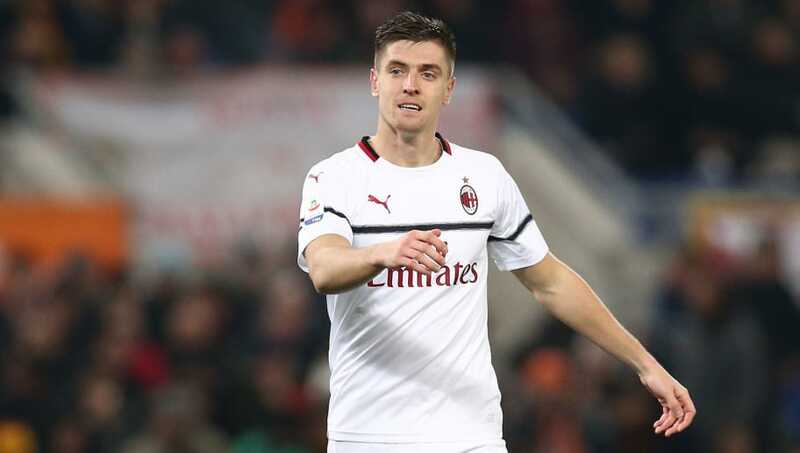 Krzysztof Piatek has revealed that he has been blown away by the support he has received from AC Milan since joining the club in the January transfer window. The Polish striker was in red hot form during the first half of the season with Genoa, registering 19 goals, which persuaded Milan to fork out £31m to bring him over to the San Siro. He's already hit the ground running for I Rossoneri and has scored three goals in his first three appearances. Speaking to Foot Truck, in quotes relayed by ​Football Italia, Piatek discussed the reception he received on his ​Milan debut, saying: “I was so focused that I couldn’t even hear the chants from the fans, only before the game when I was still in the tunnel and the announcer was saying the players’ names. "I entered the field alone and heard the applause. I took off my headphones and everyone…wow! I applauded too and the atmosphere grew. It was an incredible emotion. That’s how the Milan fans welcomed a new player who hasn’t done anything for the club yet." The 23-year-old went on admit that he needs to continue improving at Milan and insisted that he is already making adjustments to his overall game. Krzysztof Piatek has scored two goals inside 46 minutes for AC Milan. That's more than Gonzalo Higuain managed in his 12 games for the club. Looks like the Italians have done a good business. “Coming here? It was a step forward for me in my career. I was amazed after I arrived at Milanello. I’ve scored goals in ​Serie A, this is the pressure I’ve chosen. I must adapt, but I certainly won’t change. I plan to always be the same person and work like before. “I’ve improved physically and also in terms of holding off challenges and speed. Lately I’ve become more accurate with my shooting. Now I’m getting more shots on target. After training I work on the positioning of my feet. If you see my first goals in Serie A, they’re very similar." Piatek will look to continue his sublime start to life in Milan when he lines up against struggling Cagliari at San Siro this weekend.